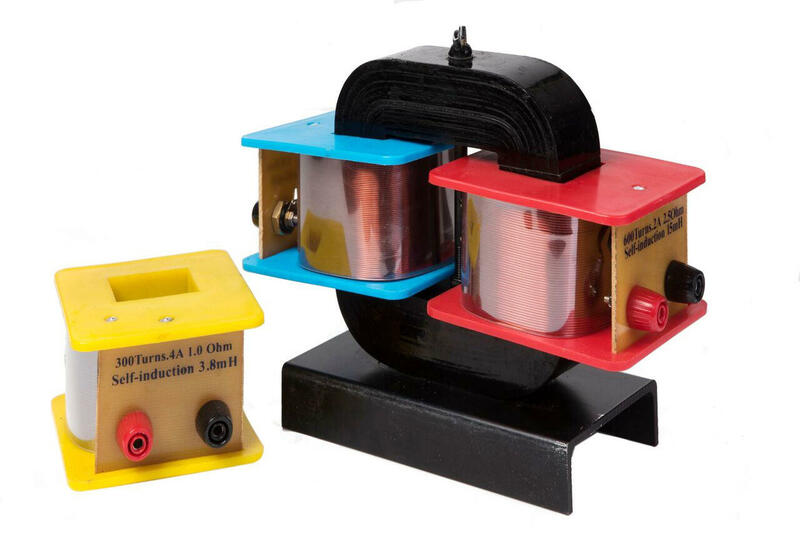 A demountable transformer kit is an ideal way to demonstrate transformer action. The kit comprises three coils, one with 300 turns, one with 600 turns and one with 1200 turns. These slide onto a laminated steel frame to form several possible transformer configurations. By connecting an ac power source to one of the coils and reading the voltage from the other coil transformer action (either step up or step down) may be readily demonstrated. The efficiency of the transformer may be studied –does the efficiency change if the laminate top is not firmly fixed? What happens if it is not present? Other more esoteric effects such as Magnetostriction may also be studied.